The retrofit package includes about 80% of the P85+ features, including the new upper and lower suspension arms, both fitted with the stiffer bushings and the new Michelin tires on the 21-inch wheels. It does not include the re-valved dampers and enhanced sway bar. This package is available for $13,000 (Unconfirmed). Some earlier cars may also require a rear sub-frame swap (price unknown). 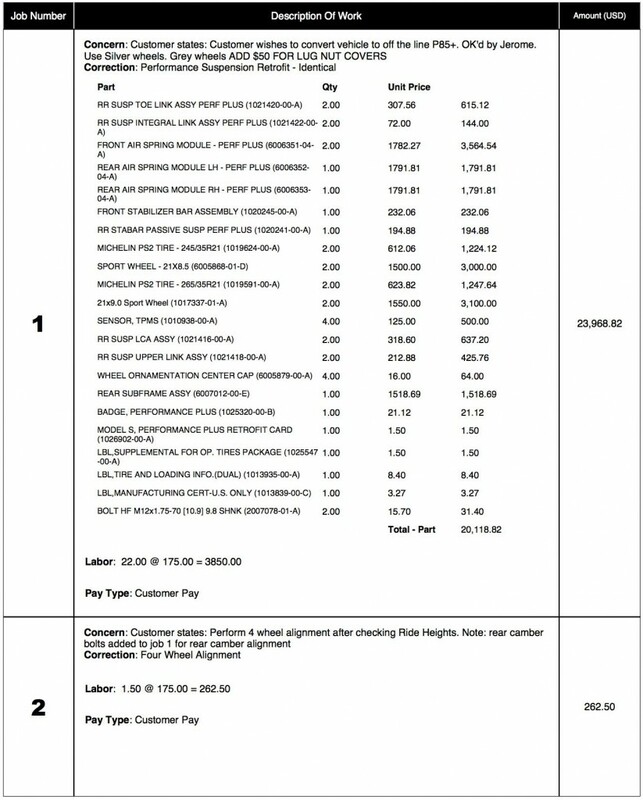 It’s also possible to get the entire P85+ upgrade for about $22,000 to $24,000 (from Tesla Service, April 2014). Check with a service center for current pricing, which varies by your VIN number.